League of Legends pro team Meet Your Maker found itself at the center of unwanted attention earlier this week when it came to light that team manager Sebastian "Falli" Rotterdam had threatened legal action against the mother of player Marcin "Kori" Wolski that he said would result in the loss of her house. As a result of Rotterdam's "unprofessional behavior," the team has been slapped with a fairly stiff fine, but it won't lose its slot in LCS competition. Riot Games said in a lengthy statement that its investigation into the conflict between Wolski and MYM ultimately found fault on both sides. Wolski's claims of withheld payments related only to the Super Hot Crew he'd played for in 2014 and not MYM, which provided proof that its players had been paid; because of this, Riot said it appeared that Wolski was "breaking an active contract and commitment to MYM." But while it doesn't want to "create a precedent that discourages teams from discussing legal issues or informing players of their liabilities should they seek to disavow an existing contract," Riot said LCS teams have a "moral commitment" to treat players with "dignity and respect," something Rotterdam obviously failed to do. "An entire LCS organization shoulders the responsibility for the behavior of their team members and ensuring their players have a safe and professional environment," Riot wrote. "MYM will be held accountable for Rotterdam’s actions towards Wolski and for failing to protect their team members from his unacceptable and bullying behavior. As such, Riot will be issuing MYM with a fine of €5,000 for unprofessional behavior." Rotterdam, who is no longer with MYM, has been indefinitely banned from LCS competition in any capacity. Riot acknowledged that some people were hoping for a harsher punishment but said that its decision was mitigated by MYM's quick dismissal of Rotterdam once the full facts of the case became clear, and also because Wolski wasn't entirely blameless either. 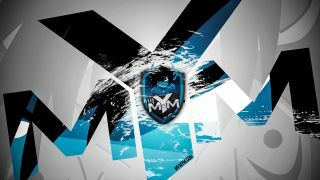 "We feel that MYM has taken significant steps to remove toxic influence from within their organization and is prepared to move forward in the best interests of their players and their competitive careers," Riot wrote. "We believe that forfeiting the slot would unnecessarily penalize players and interrupt their pro careers through no fault of their own." Any further incidents, however, will put the team "on a path to suspension from the LCS." "For Riot, cases like this tread a difficult balance between relying on the contractual relationships negotiated between teams and players to appropriately guide their behavior, and using our influence to try and ensure a professional and ethical environment for those parties operating within the LCS ecosystem," Riot wrote. "Where we feel strongly that unprofessionalism is putting player security at risk, we can and will use our influence to try to ensure that the LCS pro experience is a positive one."